We aim to implement a system of self-regulation and have introduced a certain level of standardisation in the au pair industry. 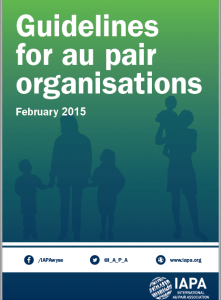 The Code of Conduct for au pair organisations and our corresponding Guidelines for au pair organisations set standards for au pairing, including basic criteria for the selection of both au pairs and families. We aim to establish rules for the conduct of business between our members, thereby allowing for practical co-operation between au pair organisations. Secondly we provide a Code of Conduct for au pairs and host families, which outlines the expectations for both au pairs and host families and provides standardised documentation to which both sides should commit when entering into a placement.